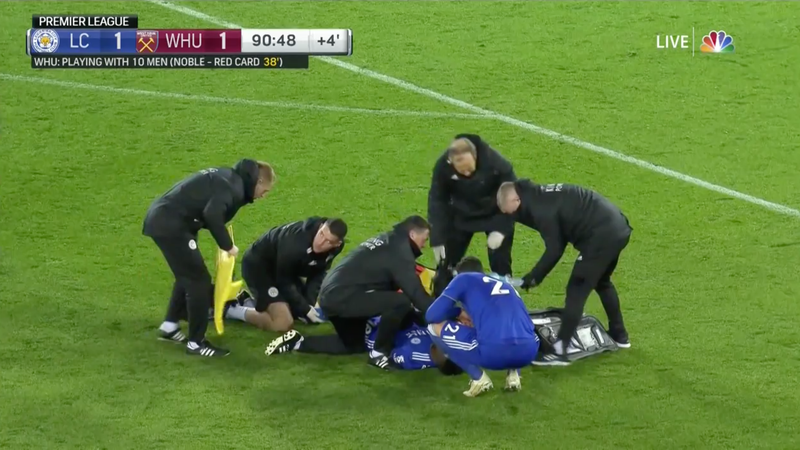 Leicester City right-back Daniel Amartey was sent off on a stretcher in the final minutes of the game against West Ham. The Ghanaian international seemed to have his cleats on the pitch after a clash with Mikhail Antonio, twisting his ankle. -1 draw. Amartey has started seven games for the right-back club and was named captain of the Ghanaian national team for an Africa Cup qualifier against Kenya in September. He played well and did his best, so it's hard to see this injury in the end. I thought more about it than the game in the end. I hope it's not as serious as we think. He will have to have an examination, then of course we will see. We will update this post if more information about this violation becomes available.